Michael Balaban runs a small law practice that focuses exclusively on employment and business law. He handles cases involving worker discrimination, wrongful termination and sexual harassment. 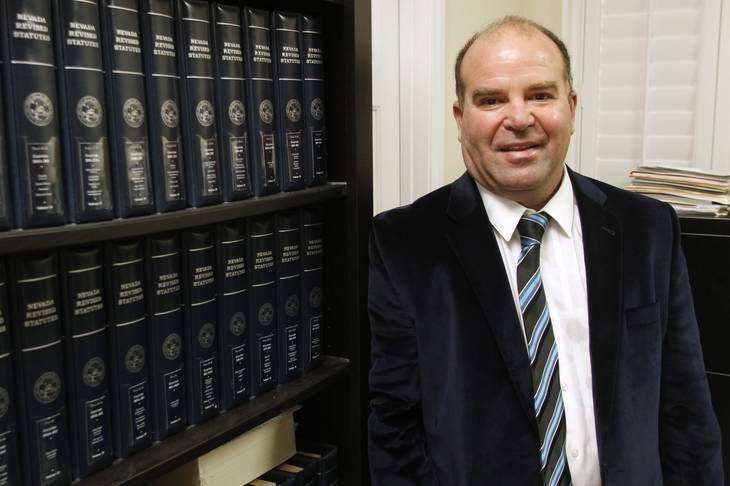 VEGAS INC recently named him one of Southern Nevada’s top lawyers. How many sexual harassment cases do you handle a year? Issues involving sexual harassment are about 20 percent of my cases, and in a year, I may have 15 to 20 active cases. Some of them take a lot longer than others. One of my cases now, with appeals, is going into its fourth year and hasn’t even gone to trial. So I may have multiple cases going at the same time. Las Vegas has a sexually charged atmosphere. Do you think that results in more incidences of sexual harassment? It’s hard to say. I would think that it results in a little higher level. But then the standard might be higher on a sexual harassment case because of the environment we’re in. For example, if there’s a case involving a gentlemen’s club, it’s hard to say someone has been sexually harassed in that business. Do you think it is harder to prove sexual harassment cases here? The Supreme Court set out a standard that in order to prove sexual harassment, employees have to put the employer on notice that they’ve been sexually harassed. Then, it’s the employer’s response that’s key on whether the employee can go forward with the case. The employer must take steps against the alleged harasser up to and including termination. It’s going to be a lot harder to prove your case if the employer has taken reasonable steps. If, on the other hand, they’ve been given notice on more than one occasion and have done little or nothing, that’s going to be a lot easier. Do most local sexual harassment cases come from the tourism industry or from workplaces you’d find in any city? I’d say it’s equally split. A lot of the big hotels have programs to prevent sexual harassment and the reporting mechanisms they have are very good, so it’s a lot harder for anything to happen. The big companies have good human resources departments that address the issue. I’ve had some cases involving companies in the tourism industry, but a lot of them are in regular businesses that you could have in any city. What’s the biggest challenge you face in hearings? One of the biggest challenges is getting to a trial. You have to get past a summary judgment first. An employee has the right to a jury trial on issues of sexual harassment, but almost every employer files for a summary judgment saying there isn’t enough evidence to go forward with a trial. The employer’s basic argument is usually that even if you prove all the facts that you have, you haven’t met the standard to get to a jury. What’s the one thing you don’t want to see or hear during a sexual harassment hearing? A lot of these sexual harassment cases involve some kind of non-work relationship. When that happens, there’s a good chance the employer will say, ‘Well, your client did this, this and this.’ That’s going to make it harder to prove the case. ©2013 The Law Offices of Michael Balaban. All Rights Reserved.